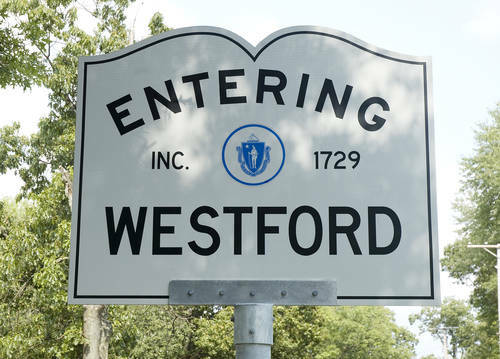 Named by CNN Money as the 11th best place to live in the country, Westford offers several amenities of a big city with the charm of a quaint and quiet small town. Situated approximately 30 miles northwest of Boston, Westford is a growing town with a variety of community events, tons of local amenities, and many top-notch schools. Acting as an area technology hub, a number of the nation's largest tech companies call Westford home, including Seagate, Sonus Networks, Samsung, and more. A major draw of Westford is the ever-rotating calendar of events. From the annual Apple Blossom Parade and Carnival to the Strawberry Festival, Blues & Brews, or the Festival of Trees, there's always something going on in Westford. The town is also home to Nashoba Valley Ski Resort and the ever-popular Kimball Farm, an ice cream stand and entertainment venue. Additionally, the town presents a number of parks, community clubs and organizations, miles of hiking and biking trails, two public beaches, and a canoe launch. Children in Westford attend Westford Public Schools, consisting of three K-2 primary schools, three 3-5 intermediate schools, two middle schools, and Westford Academy, one of the oldest still-operating high schools in the country. Westford high school aged students can also attend Nashoba Valley Technical High School, which offers vocational and technical education. Westford's housing inventory provides a range of pricing, starting in the mid $300,000s and going up into the millions, depending on the size and type of home. Though the typical home averages a price of about $480,000, there are a wide variety of price ranges and preferences within the town.